A common ritual in both wine tasting and fine dining is to cleanse the palate. The theory is that it is easier to appreciate all the complex and varied flavours you are sampling if you clear one taste from your senses before attempting the next. Begin with the lighter offerings and work your way up to the heavier, headier choices. Eat white bread or crackers and sip unflavoured water between sips. Pause between tasting each wine or beer to allow your palate time to “breathe.” Clearing your mouth of one taste allows you to better appreciate the next one. Wait to have a meal until after the tasting. While wine and beer are wonderful together, any foods you eat with them affect their taste. Skip mints, gum or candy until after the tasting. Experts are critical, warning heavy drinking can increase the risk of other diseases, with alcohol responsible for 1.8 million deaths globally per year. The study was conducted in Spain, a country with relatively high rates of alcohol consumption and low rates of coronary heart disease. The research involved men and women aged between 29 and 69, who were asked to document their lifetime drinking habits and followed for 10 years. Crucially the research team claim to have eliminated the “sick abstainers” risk by differentiating between those who had never drunk and those whom ill-health had forced to quit. 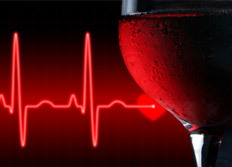 This has been used in the past to explain fewer heart-related deaths among drinkers on the basis that those who are unhealthy to start with are less likely to drink. The researchers from centres across Spain placed the participants into six categories – from never having drunk to drinking more than 90g of alcohol each day. This would be the equivalent of consuming about eight bottles of wine a week, or 28 pints of lager. The same benefits were not seen in women, who suffer fewer heart problems than men to start with. Researchers speculated this difference could be down to the fact that women process alcohol differently, and that female hormones protect against the disease in younger age groups. The type of alcohol drunk did not seem to make a difference, but protection was greater for those drinking moderate to high amounts of varied drinks. The exact mechanisms are as yet unclear, but it is known that alcohol helps to raise high-density lipoproteins, sometimes known as good cholesterol, which helps stop so-called bad cholesterol from building up in the arteries. It is common knowledge that red wine is meant to be served at room temperature, but the problem with that rule is that it was established in the 19th century. That was long before insulated walls, fitted carpets, double glazing and central heating. The living rooms of modern houses are often maintained at around 23 degrees, which in wine terms is just a little too hot. 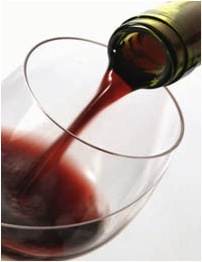 Ideally most red wine should be served at a temperature between 15 and 19 degrees. If served too warm, reds can taste very “soupy” and lack in taste and aroma and South African room temperature, especially in the summer, can be much higher than 19 degrees. So sometimes it can be a good idea to pop the bottle in the fridge for 10 minutes just before serving it. When you buy wine as a gift, wine awards play a bigger role in your purchase decision. This is according to a recent study. In a recent MBA study Christine von Arnin found that consumers put different emphasis and importance on wine awards when they purchase wine for different reasons. When consumers buy wine for self consuming or for a party less emphasis are put on wine awards. But when consumers buy wines for a gift, wine awards do effect the purchase decision. The study also found that in general South African wine consumers put more emphasis on cues like Variety, Vintage, Producer, Region than on wine awards. This implies that awards have a lesser effect on the purchase decision than originally expected.